Looking for an editor to work with on your book? First Choice Books recommends the following well qualified experts. Please contact these editors directly. Editors are provided professional development, networking and support to through PEAVI in and around Victoria, in British Columbia, Canada. If you are looking for an editor to help you with a project, you can browse through their list of members and contact individual PEAVI members directly. Each PEAVI member has provided their contact information and many members have included a listing of their skills, subject areas, and a short personal biography. Sylvia Taylor is an award-winning freelance writer, editor, educator, and communications specialist in Metro Vancouver, with a passionate commitment to communication. 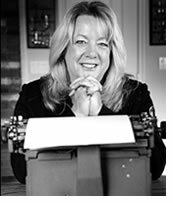 From conference keynotes to literary coaching, book editing to business websites, ghostwriting to Life Stories, Sylvia offers writing-related expertise “Taylored” to every literary need and purpose. Whether supporting others in their self-expression, collaborating in commissioned work or creating insightful commentary and reportage, Sylvia draws from her professional background in education, administration, healthcare, and creative arts. With 400 magazine and newspaper articles in print and 75 commercial and business writing projects, she consults with a diverse range of entrepreneurs, organizations, and businesses. She has edited over 100 manuscripts in all genres and works extensively with Canadian and international authors through all stages and phases of writing and publishing. Persuasive writer, precision editor and catalytic writing coach. 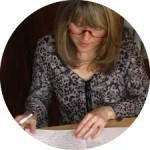 Marial Shea is a freelance writer, editor and writing coach. For 25 years, she’s been writing for magazines, businesses and non-profit organizations, and has edited and proofread over 150 published books for trade-book publishers and self-publishing authors. I’ve learned that marketing is really purpose-driven storytelling. My unique gift is for capturing the heart of a business in fresh, focused web and marketing copy that tells people exactly how it will make their lives better. Marial gained an insider’s knowledge of the book publishing process, and now offers that expertise to authors who are working to self-publish their work. She shares practical advice and inspiration with the writers she coaches, wherever they’re at in their writing journey, and offers services in manuscript evaluation and editing. Janet Love Morrison was born in Toronto, Canada and grew up in Port Coquitlam, near Vancouver. She spent much of her life travelling the world and performing a variety of jobs while living in Switzerland, Israel, India, Japan and Malaysia. Love Morrison first started editing in 2004 for Masters’ World magazine in Kuala Lumpur, Malaysia. Since then she has embraced a wide variety of editing assignments including websites, brochures, resumes, magazine articles, and much more. Those creative experiences, combined with teaching English grammar as an ESL teacher for 11 years, are what make Love Morrison a well-rounded editor today. Editing is about recognizing the strengths and weaknesses of text. The way you use language tells people much more than just the message you are trying to convey. Just like your clothes, the style of your language reveals a statement about you. Presenting your ideas in a clear, well-organized manner adds merit to your professionalism, and your message. Steve Weatherbe has edited news magazines and business magazines for a dozen years and written for newspapers and magazines at the national level for 35 years, in addition to proofreading. He has contributed to half a dozen popular history books. He is a voracious reader, including action thrillers, historical fiction, mysteries, westerns and serious fiction among his interests. I am an English Major Graduate of the University of Toronto, and now live in Delta, BC. I have been editing for 24 years. My specialty is helping new authors navigate the confusing world and process of publishing, and now have many happy return clients around the world. I have edited adult novels, children’s books, a cook book, medical self helps, biographies, fictions, non-fictions, personal memoirs, science fiction, a published travel magazine, and am the acknowledged editor of sixty-one published books. As a published author, I wrote a collection of children’s books, and a variety of business documents. I was an English Assistance and ESL tutor, I have instructed editing skills courses for Delta Continuing Education, and have been a writing skills instructor for private organizations. I was under contract for fifteen years with Kwantlen Polytechnic University, Richmond, BC campus, working in the Adult Learning Center tutoring ESL students and those wishing to upgrade Grade Twelve and University course marks. I am a co-founder of a writer’s support group in North Delta, BC. Writer’s Cramp Editing Consultants was established in 1992, and is owned and operated by Ann Westlake as a home-based business.